I was on the phone with my mom earlier this week having one of those long talks where we cover everything from life and love to work. We always land on the topic of work, and stay for quite some time, because we both own businesses and can relate to each other in that respect. It usually turns into a therapeutic two-way vent session where we share our war stories about making a million decisions a day, managing our teams, and — our personal favorite — complaining about annoying clients. In this conversation, I’d been telling her about all the work we’ve been doing with my new company, Six Second Stories. Since September, I’d hired three new people, booked several new clients, launched a podcast and starting creating instructional videos. “How are you paying for all this? !” she asked. I could tell by her silence that she understood. Still, we always worry about each other, even though we’ve probably had the same experience ourselves. I put it in words she could understand. But taking the leap isn’t easy. In fact it’s very hard and some of us just stand up there on the edge of the cliff looking down at that beautiful water we want to be swimming in, but are too scared to jump. By hiring this team — before I had the clients to justify them — I was putting myself in the position where I had to succeed. There was no other option. It’s the classic “put up or shut up” concept. Even though I wanted to keep waiting, I knew I could be in the same position next year, and the next year after that, if I didn’t go ahead and put myself in the place to do bigger and better projects. The past ten years I’d been working by myself and even though I’d done some great work that I was proud of, I wanted to scale my business and start impacting the world in a more meaningful way. I knew that I could help some bigger organizations and companies share powerful stories and I needed to set up a strategy of how to get to them. I hired an editor, an associate producer, and a graphics/social media person as well added some freelancers to our team’s roster. But this wouldn’t have worked if I just hired a bunch of people and hoped for more business. That would be blindly taking the leap. We needed a clear plan. 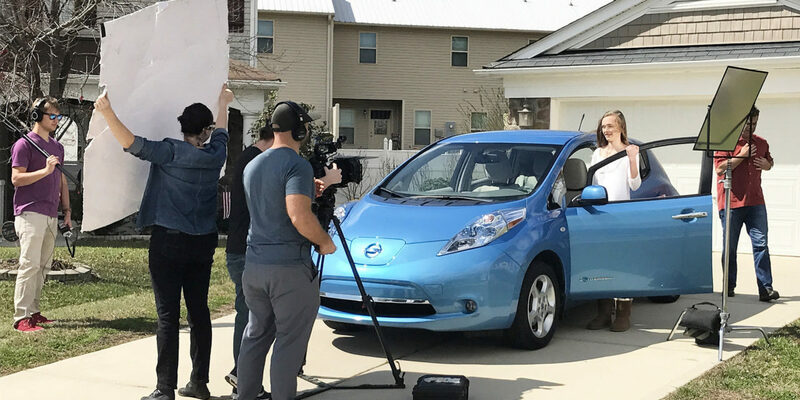 We wanted to establish ourselves as experts in our field, video storytelling, so that we could help our clients be the heroes to their clients, customers, or communities. 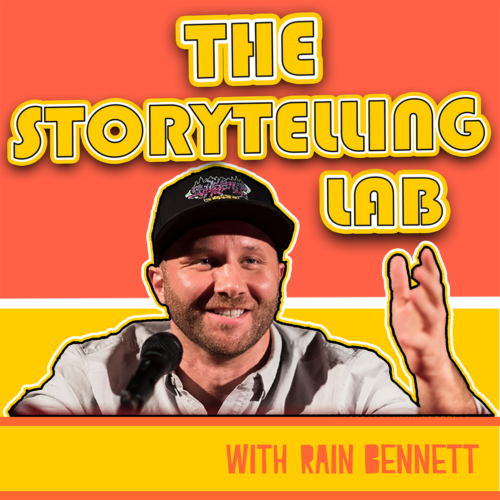 We launched a podcast called The Storytelling Lab that would break down the art and science of storytelling. We reached out to nonprofits that shared our mission and offered to create videos for them for free. We created blogs and videos that explained the production process to help answer the questions that most clients ask. It wasn’t about giving away our knowledge, it was about providing value for people, whether they work with us or not. (Pro tip: this actually helps to make people want to work with you). In just a few months, this is already starting to work. We aren’t where we want to be just yet, but it’s incredibly exciting because we see it coming just around the bend. That excitement will spark the energy we need to get there. So yes, I took the leap. And often that thought is terrifying and can be paralyzing. But what most people overlook, when they’re contemplating jumping off that cliff, is that we never just stand on the edge and blindly jump. We peek over the edge at where we want to be, we look back and measure out how much runway we need, then we take a burst of short but strong steps to build up the energy. Then we take the leap.